The first time I heard the word “gay” was in 1993. Bill Clinton was our new President, and gays in the military was among the first major issues his administration was tackling. I was 10 years old. One Sunday morning, after reading about Clinton’s proposal to allow open service, my dad commented to my mom that gay people were going to destroy the military. 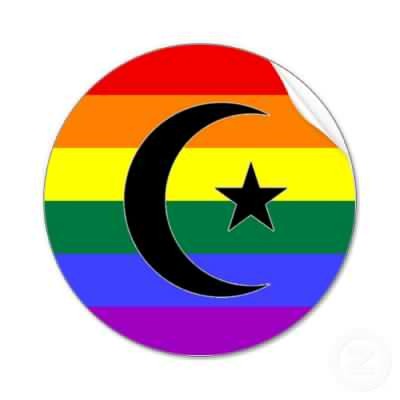 Clinton, he said, would be to blame when our country was no longer able to defend itself against foreign invaders after our troops fled their posts to avoid the gays. Whoever these “gays” were, they sounded pretty bad! When I asked my parents to explain, I was told that being gay was a taboo. Homosexuality was against God’s intentions. Our nation would fall like the Roman Empire if we embraced it. Visions of fighting, fire, and warfare clouded my mind as I pondered the significance of this new mention in my lexicon. Little did I know that a few short years later, a word introduced to me shrouded in distasteful forbiddance would become a central part of my own burgeoning identity. When it did, those connotations stuck, and an awkward resentment lingered as I came to understand the utter wrong in my parent’s assessment. Taboos are cultural creations. Society sets the parameters for what is acceptable. Often, those boundaries change. Words once masked in darkness become illuminated over time. Fast-forward 18 years, and that’s exactly what has happened. In 1993, around 40% of the country favored allowing gays and lesbians to serve openly in the military. Today, that number swells close to 80%. The September 20, 2011 “Repeal Day” of Don’t Ask, Don’t Tell was more than a mere lifting of a ban. It was the culmination of an evolving country. We are a nation of people becoming more enlightened each day on the issue of sexual orientation. It’s not just straight people who’ve needed to evolve, though. Those of us who are gay need to remember the people inside the “gay gap”. As acceptance has grown, the folks in between that 40% mark then and the 80% mark now are why laws are changing. They are our friends who disassociated with us when we came out. They are our colleagues who ridiculed us behind our backs. They are our mothers who cried when we revealed our truth. They are our fathers who cringed when they learned their child is gay. They are our uncles who made offensive jokes at Thanksgiving dinner. They are our grandparents who never knew a single homosexual person. They are all the people who clung to the taboo, only to have their notions stretched by the true colors of our realities. They might have caused us grief in the past, but they are paving part of our road forward in the present. We must forgive them and let go of that resentment. The Sunday night before the ban was lifted, I was on the phone with my dad. When he asked me what my plans were for the upcoming week, I mentioned my intention to attend a Repeal Day party. He very comfortably commented that he had read an article in his local newspaper focusing on an elderly man discharged under the policy who would soon have his benefits reinstated. “That’s a good thing for the country,” he said. His understated tone of acceptance underscores the gap. Those simple words did wonder to wash away my own resentment. They made me realize that whatever hostility headlines from the past may have elicited, it’s the lives we are living now that truly matter. We can’t begrudge people for past prejudices. We can only be thankful that they embrace the truth of a taboo lifted. 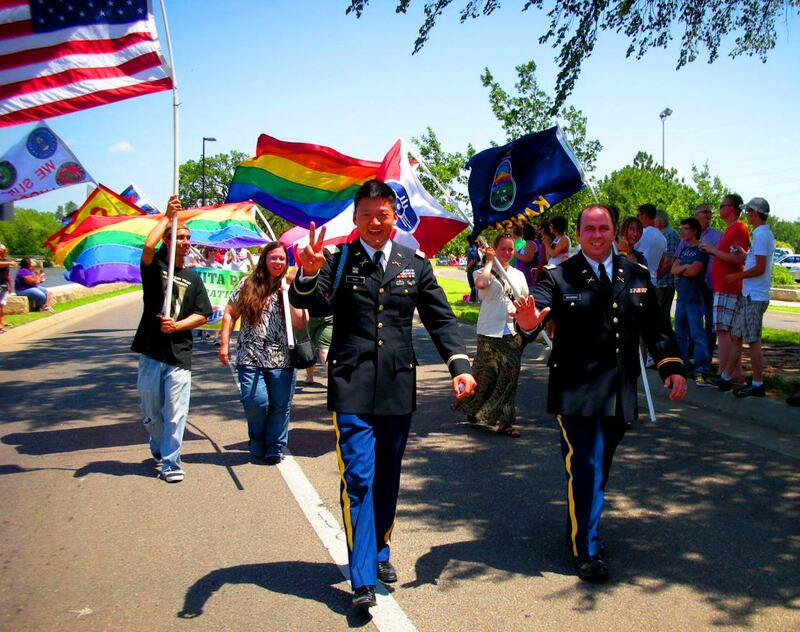 Gays are now serving openly in the military. Our nation stands strong. Our families can be stronger.